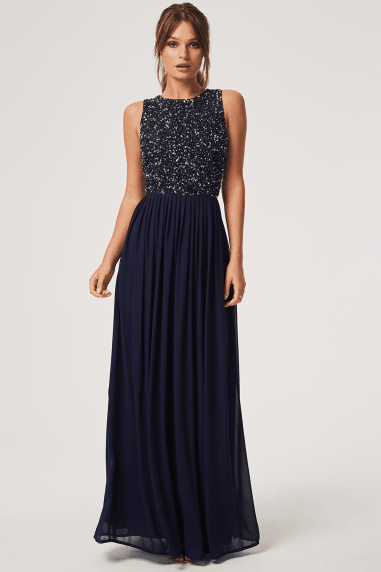 Floor length dress with jewel embellished neckline and twist waist detail. Sleeveless sweetheart bodice with mesh yoke, keyhole back and wrap over style skirt. Button and zip fastening.